Last night Zlatan Ibrahimovic demonstrated why he should still be considered as one of the very best offensive players in the world. The Swedish superstar inaugurated Sweden's new national stadium with no less than four goals, showing great skill, a goal from a free kick and, of course, the already legendary bicycle strike. It might be true that the English invented football, but last night Zlatan Ibrahimovic taught the English national team a lessen of dimensions, as Sweden inaugurated the new Friends Arena by beating England 4-2 with all four goals from Zlatan. Until the 77th minute it actually looked like a rather dull début for the new national stadium, as England were leading by 1-2, but everything changed quickly thanks to this man in his Nike Mercurial Vapor VIII ACC Retro/Total Orange/Challenge Red. 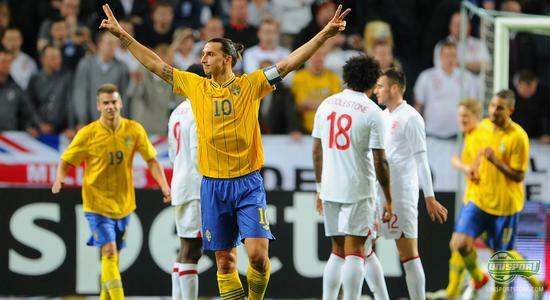 The Swedish team started the game very well and Zlatan opened the goalscoring just 20 minutes into the match, but goals from Steven Caulker and Danny Welbeck gave England the lead. At this point it looked like the Swedes were far from the Friends Arena début that they had hoped for; lucky for the Swedes, Ibra had other plans. First he found the back of the net with a nice, from the book attack to tie things up, then he turned a free kick into another goal, and all of a sudden the Swedes were leading. The hat-trick was a reality, but the man leading the party wasn't done yet. Cold as ice, he puts in a beauty of a bicycle kick from no less than 35 metres to complete the beating of Joe Hart and the rest of the English national team. 4-2 was the final score, and we can't stop feeling sorry that this years Puskas award nominees have already been given out, as we believe Zlatan's bicycle kick would be a good contender. Maybe next year's best goal has already been found? Anyway, we take our hats off to the charismatic Swede. 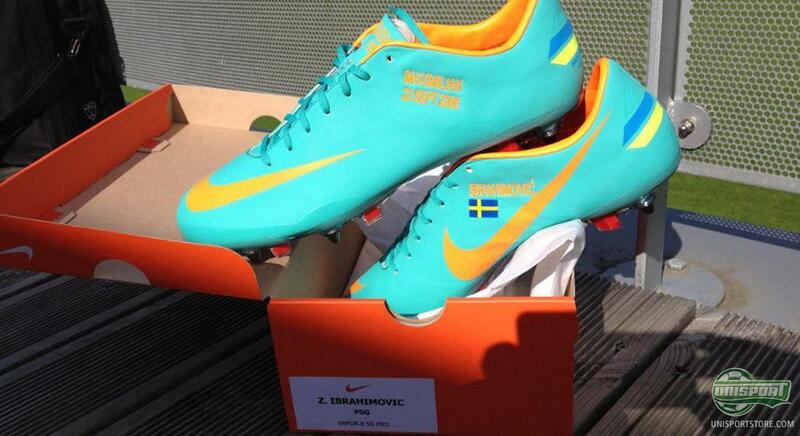 You can match Zlatan Ibrahimovic's boots with a pair of Nike Mercurial Vapor VIII ACC Retro/Total Orange/Challenge Red right here  just 203. You can also celebrate the living legend with a Sweden national team shirt right here  just 26. Zlatan Ibrahimovic is, and will be, a legend; not just because of his fantastic talent and goals lke we witnessed last night, but also because of his unique personality. How will you remember the Mercurial star in the future? Is he among your favourite players? Feel free to share your thoughts with us in the comment field below.